Ooey-gooey cheesy levels on OVERDRIVE folks. That’s what this bowl of (low carb! Protein PACKED!) goodness IS. You would have never thought that something made with veggie noodles could be SO pleasing to that comfort-food-<3er inside of you but A-L-S-O to that ugh-bikini-body-season-quickly-approaches side of you that is slowly creeping out. 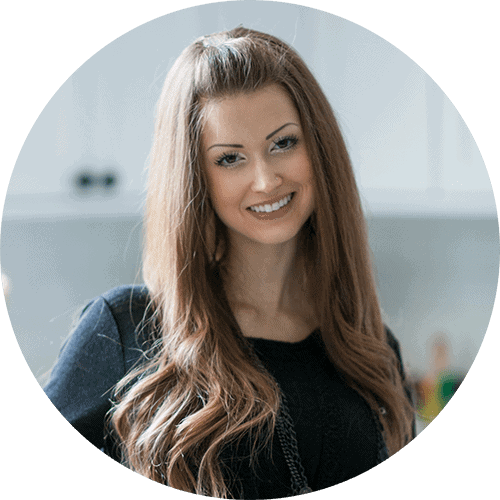 Why make the choice between listening to the very-real part of you that wants to live off crockpot paleo cookies or the logical-but-not-fun side of you that annoying tells you to reach for the leafy-green kale salad recipe instead. Please don’t tell me I am the only one who’s inner mind-workings are so dramatic. BUT TODAY, we are SRSLY about to channel ALL of that struggle into something happy, delicious and FULL OF CHEESE. And veggies. June is Dairy Month so I’m continuing last year’s partnership with the American Dairy Association to help celebrate it. When coming up with a dairy-heavy recipe, my brain OBVI went to a homemade Greek yogurt gluten free mac and cheese recipe. But then I thought you might throw something at me for presenting you with photos of drippy strings of cheesy heaven in the middle of beach-going season. Can we all agree that zucchini noodle and Greek yogurt are basically the world’s most delicious compromise? I think YES. I’m of the thinking that zucchini noodles can really do no wrong. 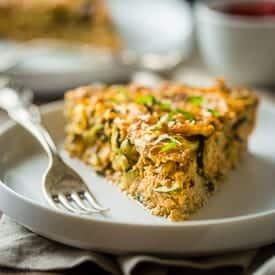 I mean, zucchini lasagna? CAN DO IT. Zucchini noodle chicken noodle soup? WHY YES IT CAN. And now creamy, gluten free mac and cheese that is somehow light, fresh and HEALTHY. I know. Your excitement level is about a 12 on the scale of gross things –> things you want to put into your face for all the years left of your life. Before we roam free to shovel long, tender-crisp strands of deliciously-nutritious veggie noodles mixed up with the richest, creamiest cheesy sauce AND bursts of tangy, chewy sun-dried tomatoes into our food-loving-faces we need to go to Zoodle Mac and Cheese School for a second. <– Capitals to make it look like a real legit school that I did not just make up. You MUST put some muscle into squeezing out the water from your zucchini noodles. Just like when making cauliflower pizza, this is the secret to having thick, luscious sauce. No watery, thin icky stuff yo. You will worry when you add in the cheese…and it’s globby. In all seriousness, if globby cheese is something you’re worried about, well, STOP. It’s delicious. BUT, if you ARE worried, just wait for the Greek yogurt. It smooooooths things ALL that. Zucchini noodle mac and cheese is BEST eaten right away. BUT, it does perform quite well in the department of leftovers. As long as you have a microwave to re-meltify the cheese situation. Do we feel educated and all-knowing and ready to take on the zoodle mac world by STORM? All of that teaching worked up an appetite. I vote we break for lunch hour. I bet I can guess EXACTLY what’s in your lunch kit. This quick and easy gluten free mac and cheese uses zucchini noodles and Greek yogurt to keep it light, healthy, low carb and protein packed! It's the perfect healthy comfort food that's only 250 calories! Add in the zucchini noodles, breaking any really long noodles up as you add them to the pot (this makes it easier to mix with the cheese later,) and cook just until tender, about 2-3 minutes. Pour the noodles into a colander, making sure to get all of the water out of the pot. Place the pot back onto the stove and reduce the heat to medium-low. REALLY shake out the water from the zucchini noodles and then transfer them to a kitchen towel. Place another kitchen towel under (so you have a double-layer of towels) and squeeze the top of the zucchini noodles, trying to get as much water out as you can. The water is HOT, so don't directly grab the kitchen towel where the zucchini noodles are wrapped, as you could burn yourself. 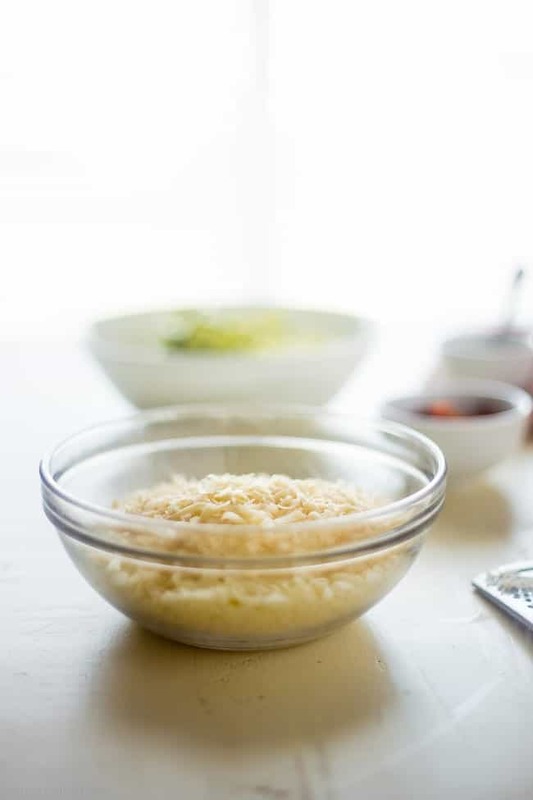 Transfer the noodles back to the pot on medium low heat and stir in the cheese, a few handfuls at a time. Add more cheese once the previous addition is melted. It might be a little bit globby, but that's normal and the Greek yogurt helps smooth it once. Once all the cheese is added and melted, stir in the Greek yogurt until well combined. Finally, stir in the sun-dried tomatoes, garlic salt, Italian seasoning and a pinch of pepper. *If you're tomatoes are really dry and tough, soak them in a small bowl of water until ready to use, to re-hydrate them. ** Really try to get as much water out as you can, so you don't end up with soggy, watery mac and cheese! *** These mac and cheese is definitely best served immediately, but you can reheat it later if need be. 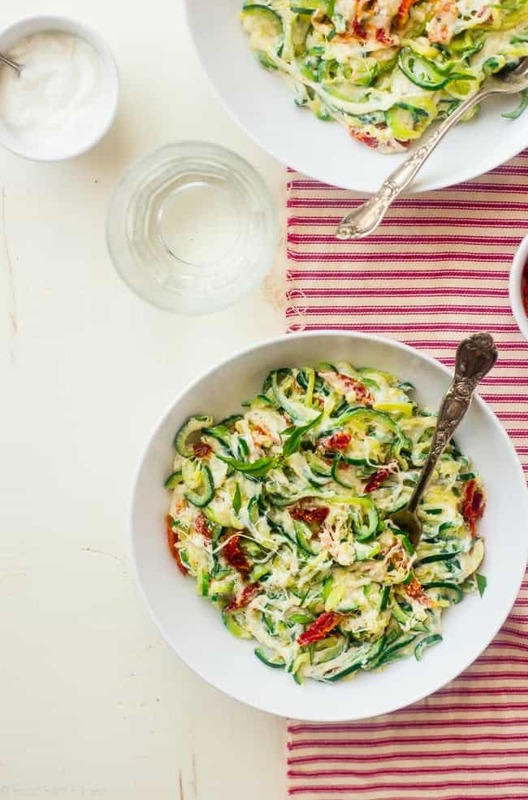 Want more cheese zucchini noodles? Make sure to check out all the dairy month recipes! Totally digging this cheesy goodness, Taylor! What a fun twist on the typical mac and cheese and terrific recipe to celebrate Dairy month! I need to dive into this ASAP!! Love the zoodles! This recipe is beyond genius. I love how you lightened up a classic. I’m admittedly not always excited about zoodles (I’ll always be a pasta lover), but all of that cheese is making these look super delicious 🙂 Not only would I make this, but I think I could get the husband on board as well! Woo hoo! So happy to hear that! Thanks Jennifer! Loving this fun, healthy mac and cheese! Haha well thank you so much! 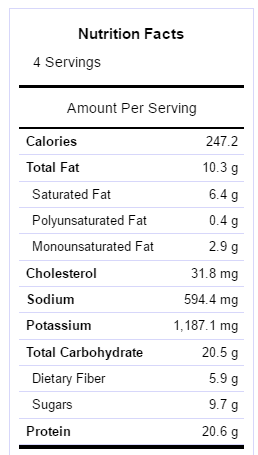 250 calorie mac and cheese?! Yes please!! And this time of the year, I’m always looking for new zucchini recipes. This looks FABULOUS! I love everything about it- count me in! Cheese makes you rethink anything right? 😉 Thanks Lauren! This looks like such a beautiful, healthy dish! I will have to make it for my toddler – I cringe everytime he goes to grandma and grandpa because he gets Kraft mac & cheese 🙁 This would be so much better! Oh no! This is DEFS better than Kraft! i hope he loves it Emily – thank you! This is a definite must make for me I love mac and cheese and am always looking for ways to enjoy it without all the carbs! It looks so fresh and delicious. I made this for dinner tonight, it is so yummy and filling! 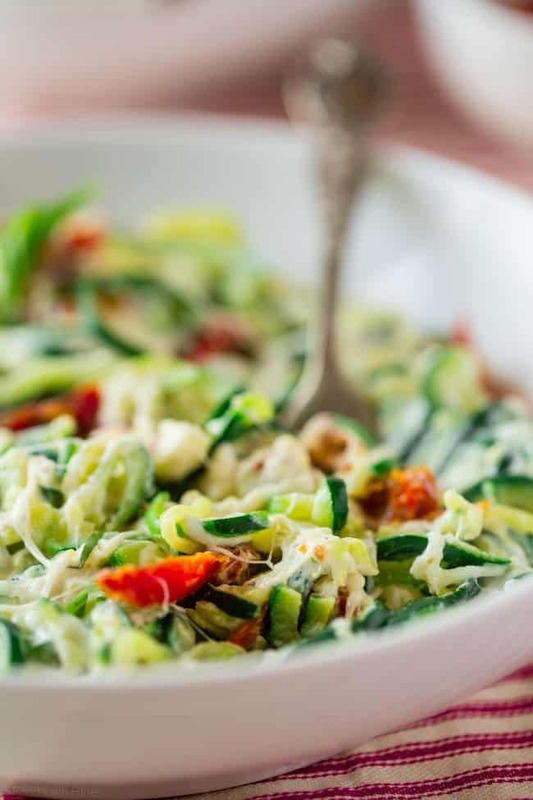 I love all the flavours and all that delicious cheese is just perfect with zoodles. ???????? will be making this again for sure! This is such a great idea Taylor! I’ve seen zoodles with all types of sauces, but never cheesy! This is definitely happening this week! This is the best reason I’ve seen yet to get a spiralizer – CHEESE! Uber healthy and still tasty!! I can’t do the cheese, but I have become obsessed with zoodles!! such an easy way to finally use up all that great produce over the summer!! I just wish they froze better! I know what you mean about freezing! But thanks! I love that you used Greek yogurt in this. 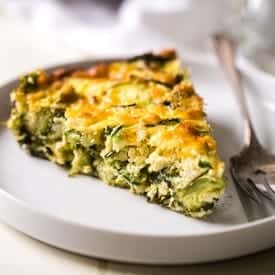 I have a lonely zucchini in the fridge that I am going to try this with! Everything about this dish is so right! 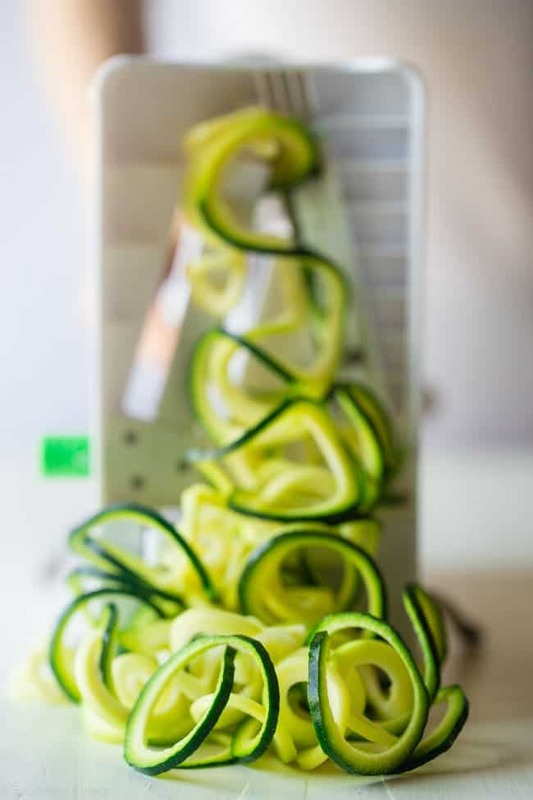 Time for me to dust off my spiralizer- thanks for the inspiration! Girl, that is not only delicious it is beautiful!!! Looooove it!! Oh, my! I need this in my life. 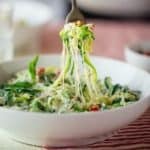 I love zucchini noodles and need to give this one a try. 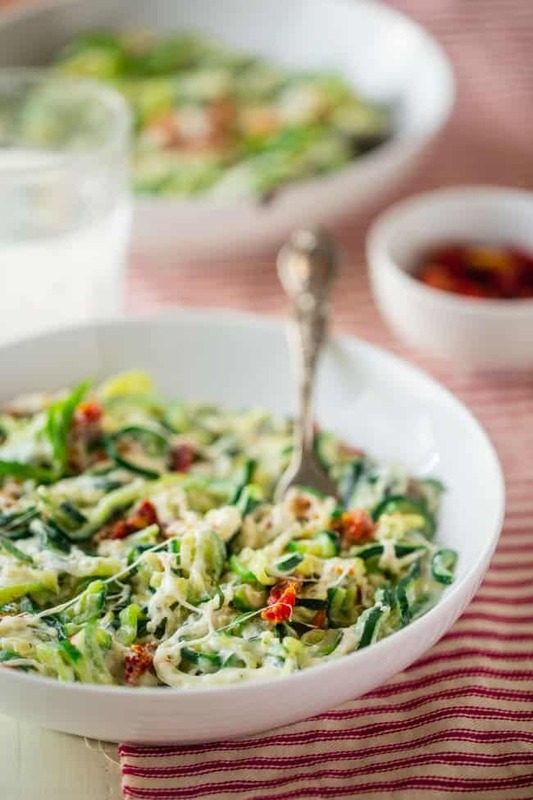 If you love zoodles, this is right up your alley! 🙂 Thanks Wendy! I have a confession…I have had a spiralizer for at least 2 years now…and I just used it for the first time last week. The funny thing…I absolutely was in awe at how it worked! I want to spiralize everything now. LOL! 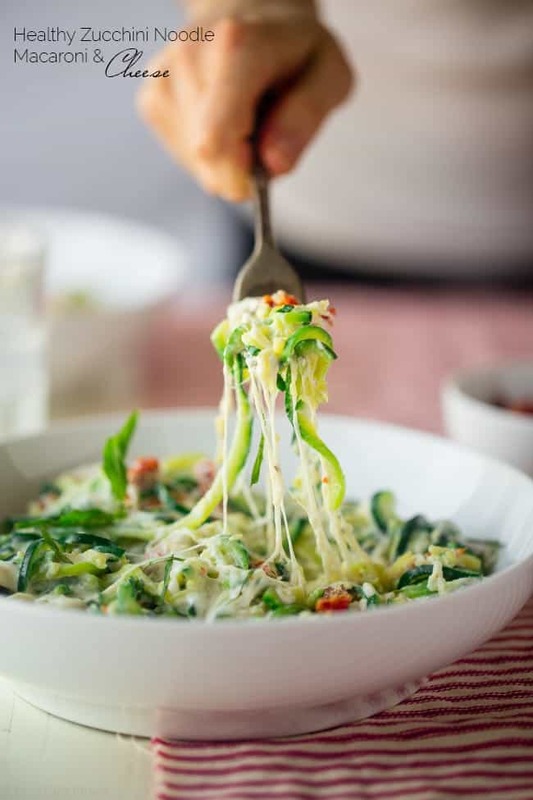 Love these zoodles loaded with cheesy goodness!!! WHAT!? Girlfriend! Better late than never I guess 😉 Thank you! Now this is my kind of mac and cheese! I gotta get on the spiralizer train!!! Heck yes you do! Thanks Gerry! Ohh yessss you just made me SO happy with this recipe. I am a mac and cheese addict and now I can indulge without feeling guilty YES!!! That looks amazing and on the same time easy! I´m definitely gone try this recipe. Thanks so much for this recipe! I’ve been dying for mac&cheese since I went low carb and this totally cured me. Delish, girl. Well done. Woo hoo! So glad to hear this!! Thank you for this! 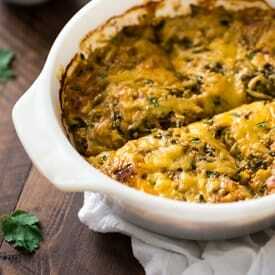 I am on a low carb diet and this recipe is a keeper! You mentioned the issue about watery zoodles. I read somewhere that cutting the zoodles in advance and keeping them in the fridge for a few days cuts way, way back on the moisture. I always cut my zoodles early and keep them in the fridge with the plastic container cracked open a touch. This does wonders to cut back on the fluid. REALLY?! I thought that would make them MORE watery. That is SUCH AN AWESOME TIP! Thank you!